Our wide range of classes cater for clients of all ages and exercise ability. Talk with our staff to find a class that suits your fitness needs. 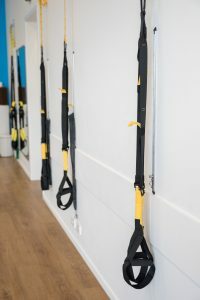 A 1-1 screening assessment is recommended to ensure our staff have knowledge of your specific exercise requirements and to ensure your ultimate enjoyment of our fantastic classes! BOOK NOW! Pilates: These classes focus on targeting the core muscles, improving shoulder and pelvic stability, optimizing muscle balance, breathing control and flexibility. Pilates is an ideal complement to your busy day. It also benefits sport performance, weights based training and cardio conditioning. 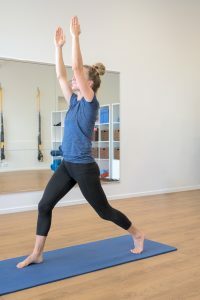 Pilates Clinical: Ideal if you have a history of injuries and includes injury prevention techniques. These classes are always instructed by a senior physiotherapist with additional training in Clinical Pilates. Pilates Fitness: Pilates at a faster pace. These classes focus more on strengthening and higher intensity Pilates exercises. Pilates Yoga: Blends the Pilates and Yoga principals. Focusing on enhancing your mobility, elongating your muscles and strengthening your core. Pilates Beginners: A slower based class focusing on the basic Pilates principals. Small equipment and props may be added. Great if you are new to Pilates. Yoga Iyengar style with a combination of flow and yin yang styles. All levels welcome. Small group classes designed to improve your balance, flexibility, breathing, centering and generally get you away from the hustle and bustle of everyday life. Leave feeling relaxed and revived. Rehabilitation Circuit: Our Physiotherapists can establish an individual program of circuit exercises for you to complete in our gym to assist in your speedy injury recovery. Reformer based exercises may be added to complement your program. All classes are run by our team of experienced Physiotherapists and Instructors. We also offer individual and private group sessions at a time to suit your schedule. Contact us directly for more details. To see our extensive timetable, click here .